The contraceptive pill is a hormone-based medication that many women will have taken at some stage in their life. Primarily used as a contraceptive, doctors also prescribe ‘the pill’ to treat a range of hormone imbalances which can result in symptoms such as migraines, acne, and irregular and painful menstruation. While altering the natural production of hormones brings many advantages, when the decision is made to come off the pill, a woman needs to be prepared for her body to go through a detox stage as it would when any other chemical substance is removed. Perhaps you’re thinking about starting a family. Maybe you just want to give your body a break from the synthetic hormones and chemicals. Or, like most women, perhaps the pill you’re on has stopped agreeing with you, and it’s merely time for a change. Whatever your reasons for going on the pill, and regardless of why you stopped or are stopping, it’s almost inevitable that your body will respond to the dramatic change in hormone levels. When you stop taking the pill, prepare for changes in energy levels, fluctuations in weight and one of the most common and noticeable symptoms; post-pill acne. Of course, no two women are the same. Some women may notice just a few small pimples. Others may end up with extremely angry looking red bumps on their face, back and chest. Some acne may be short term, and some may seem as though it’s here to stay. Hormone-based birth control is often prescribed as a solution to acne, and other skincare complaints as the hormones repress the level of sebum (oil) produced. Excess sebum is a common cause of acne so by restricting the flow, incidences of acne are reduced. The body’s response to this unnatural restriction, however, is to counteract it by increasing the natural production of sebum. When a woman stops taking the pill, regardless of how long she’s been on it for, the excess sebum production continues while the hormones return to their natural levels, potentially leaving her with oily, blocked pores which lead to acne. Natural sebum flow may regulate within a few weeks, or it may take up to 18 months (again, every woman’s different). In a double whammy for bad news, if you’re trying to cleanse your body and don’t want to rely on chemicals to clear up your post-pill acne, unfortunately, there’s little you can do to resolve this. As your natural hormones balance themselves out after the artificial interruption, your body will regulate itself in its own time. The good news is that by following these three simple steps, you can remain natural and reduce the impact of post-pill acne on your skin by treating the acne itself and reducing any future breakouts. What you eat and drink can have a significant effect on the appearance of acne. Reduce toxins that are known to cause inflammation such as sugar, alcohol and dairy and increase consumption of water and whole natural foods to reduce the irritation caused to your skin. When your skin is sore and irritated, harsh, chemical-based products that are designed to help, can actually cause more problems. Retinols are commonly found in anti-acne products. They work by drying up the oil glands to reduce the amount of sebum produced. Unfortunately, while some retinoid products may be slight natural derivatives of vitamin A, the other chemicals found in these products are harsh on skin and can cause dryness, flaking and sensitivity. Benzoyl peroxide is another prominent ingredient in anti-acne skincare. While it can work wonders on acne-ridden skin from the outside, on the inside it’s causing delicate skin cells to dry and peel leading to a red, painful and sensitive mess. 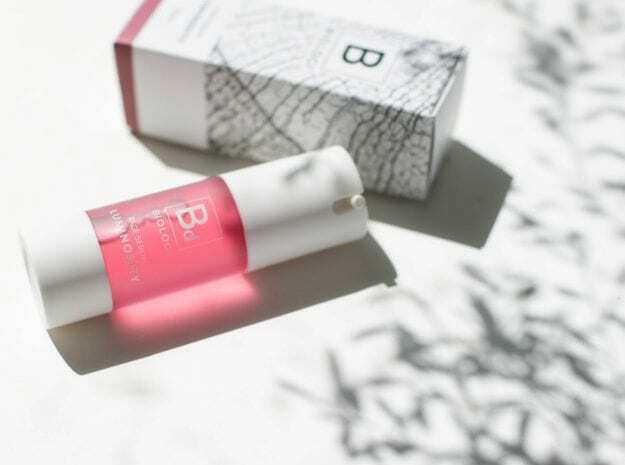 Bd serum is 100% Davidson Plum extract rich in tartaric acid. Firstly, it works to calm the skin to reduce redness and inflammation. Gallic acid and quercetin are both powerful phyto actives found in Davidson Plum rich in anti-inflammatory properties that help soothe the skin. Secondly, the tartaric acid is a natural enzyme that helps break down dead skin cells. This regulates oil flow by stopping pores from becoming blocked which will reduce the frequency of future breakouts. Post-pill acne can peak up to nine months after you stop taking the pill and may last for a significant amount of time afterwards. Before hormones have regulated, it’s common for women to resort to medication to cure acne, even resorting to going back on the pill. Stick with our natural solutions and your sebum production and androgen levels are likely to return to normal leaving you with healthy, glowing skin, and a chemical-free body! If you’re still taking the oral contraceptive, we recommend incorporating Bd serum into your daily routine up to two months before you stop taking it to prepare your skin as much as possible.